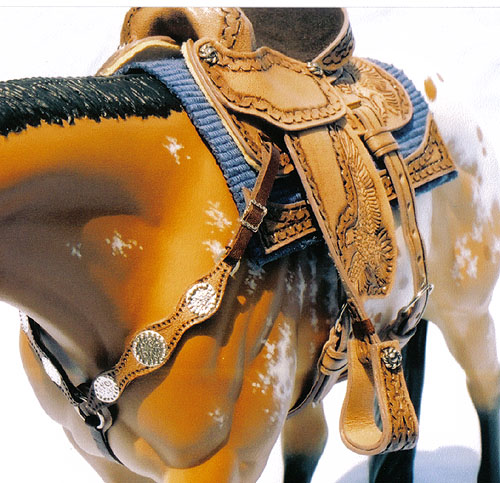 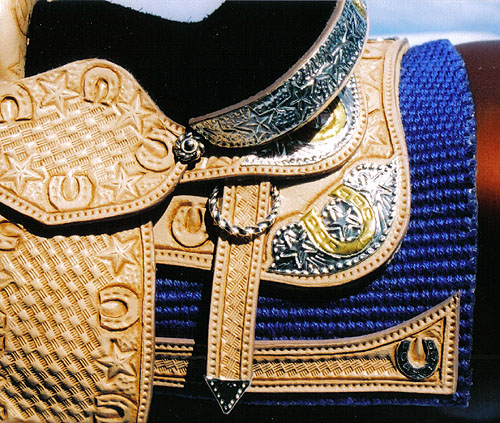 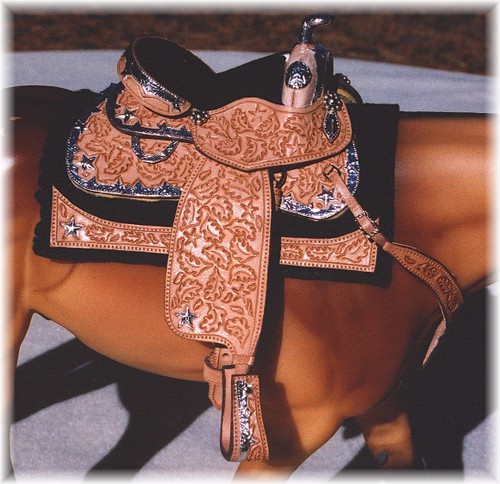 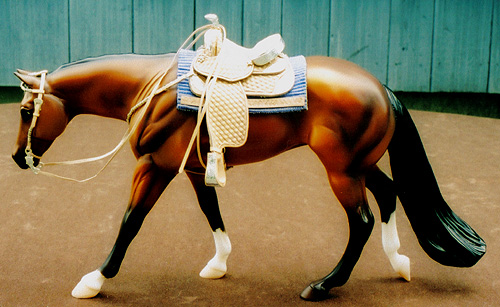 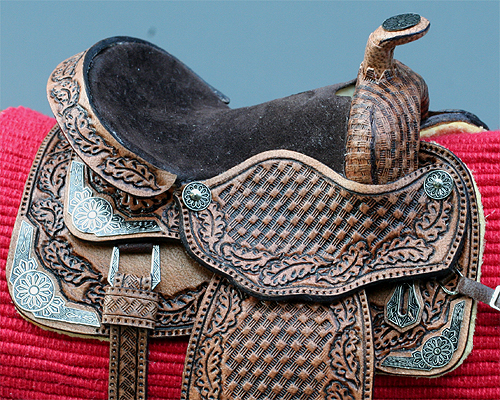 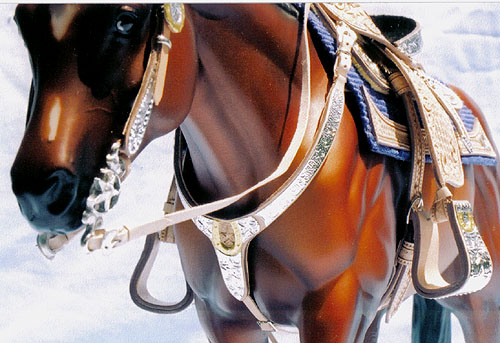 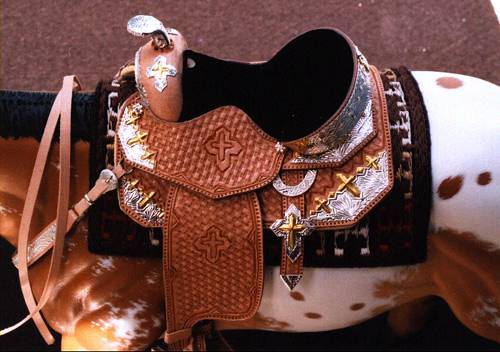 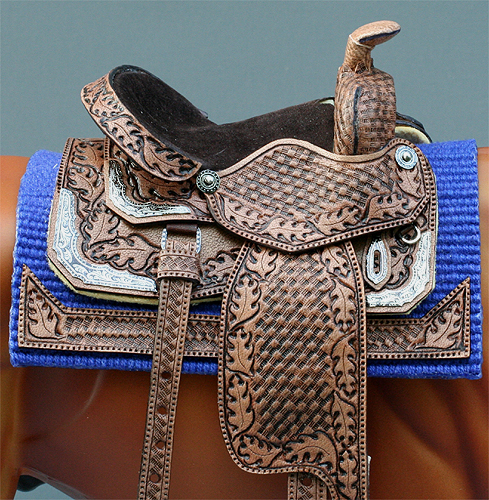 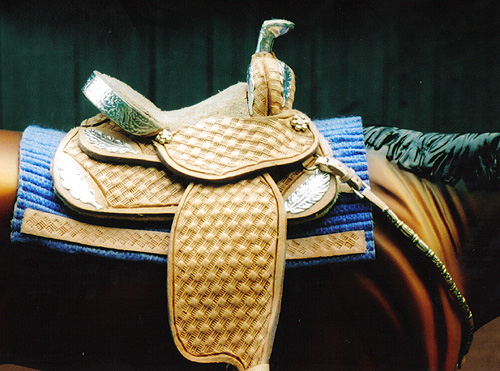 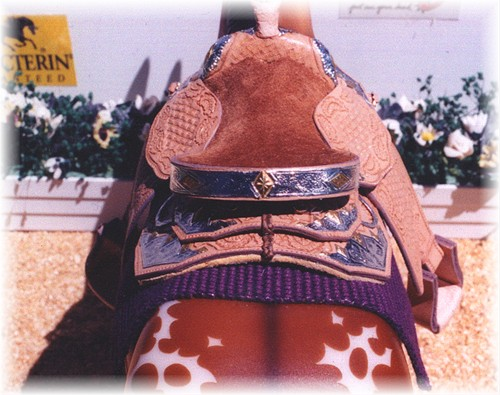 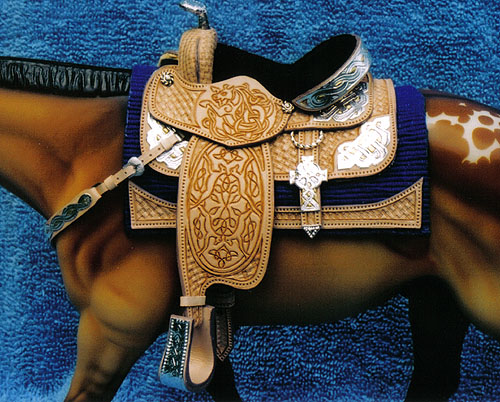 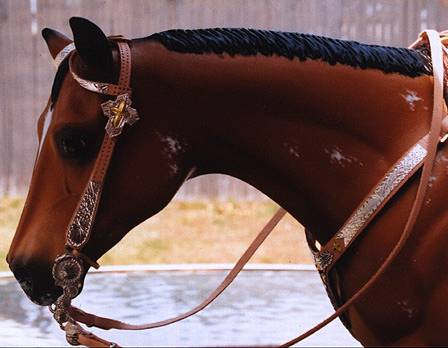 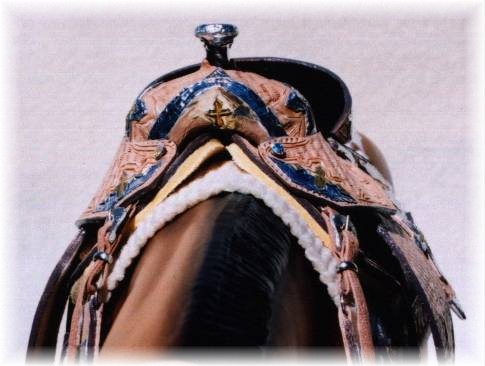 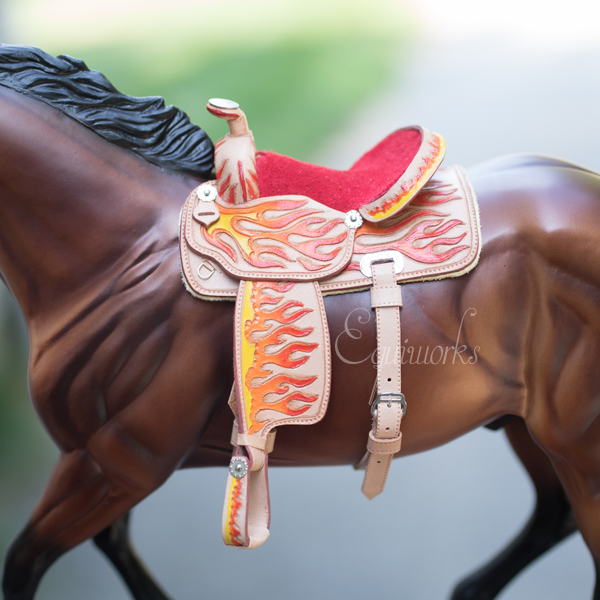 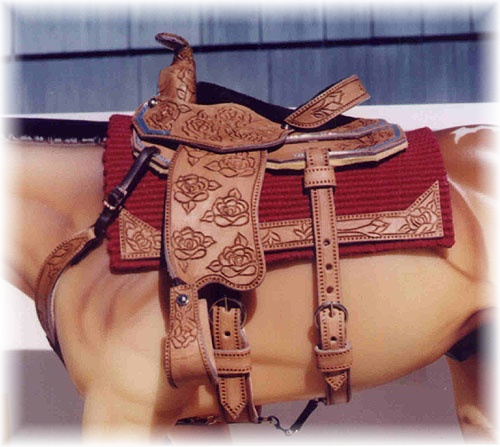 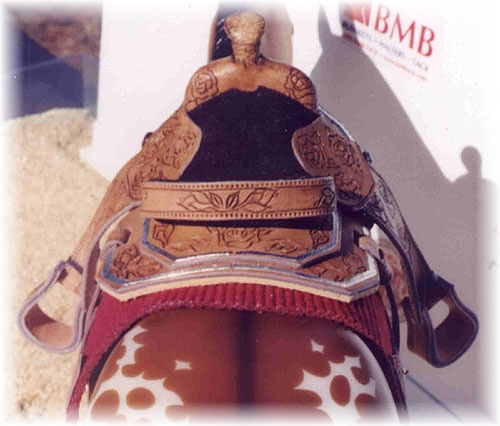 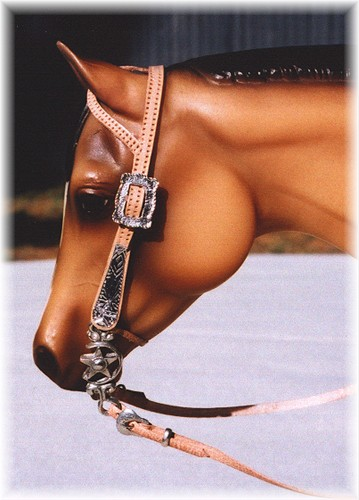 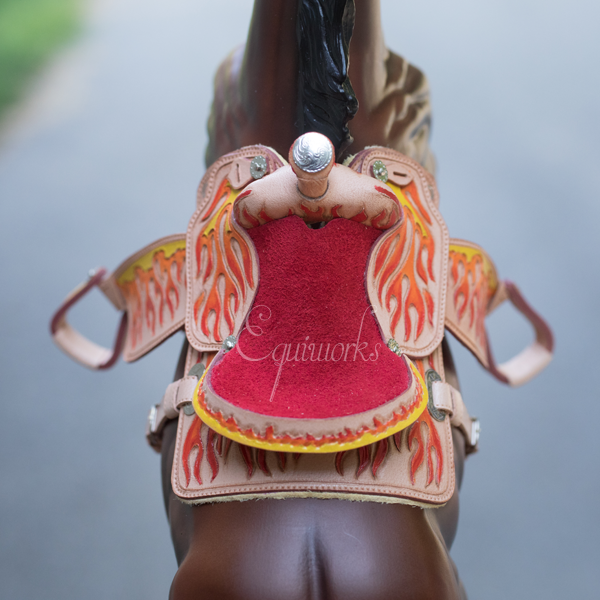 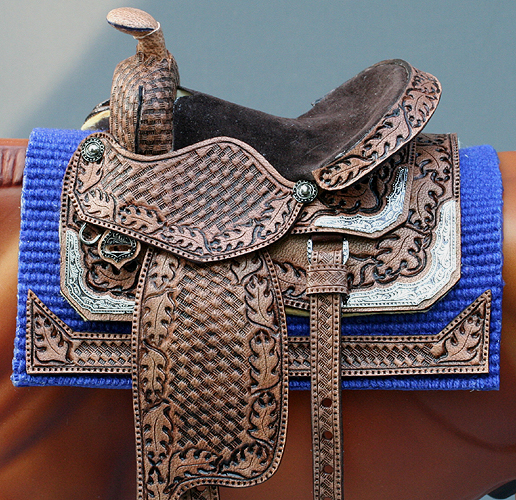 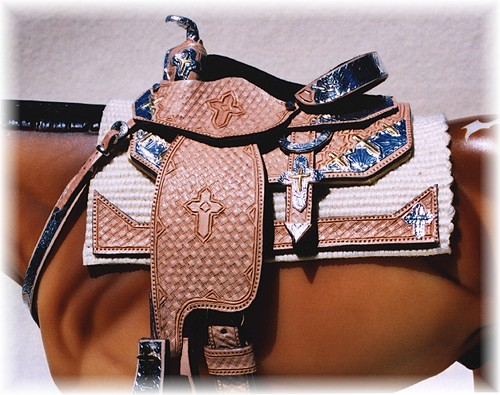 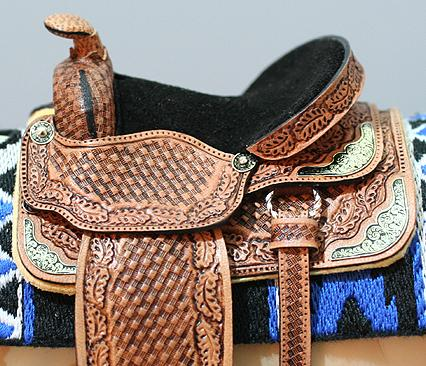 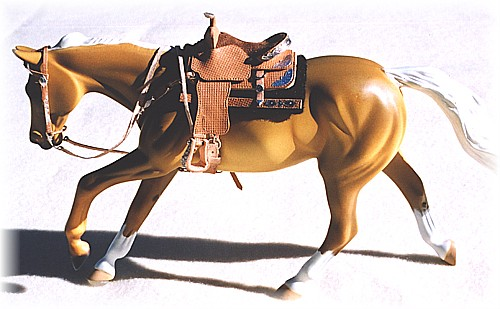 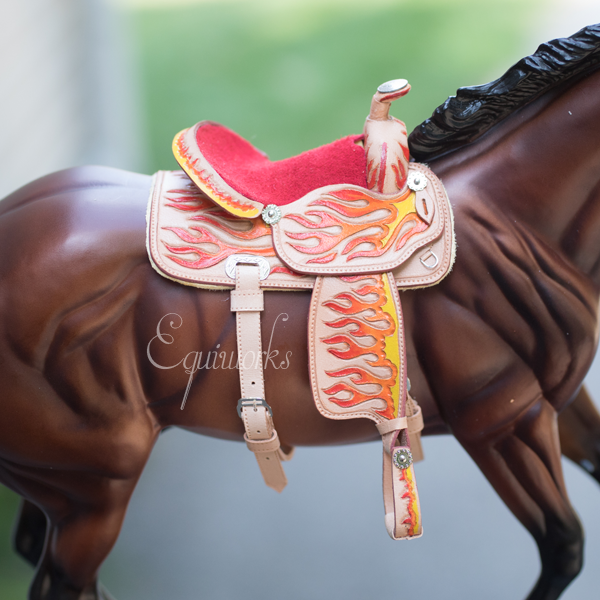 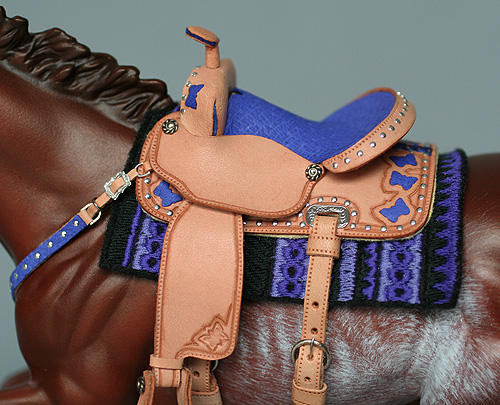 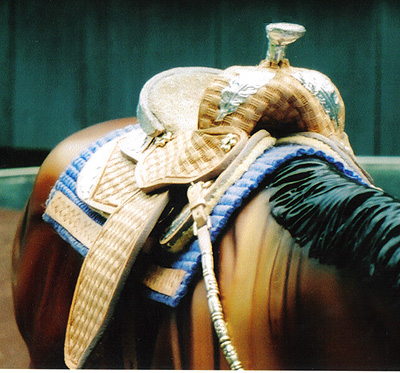 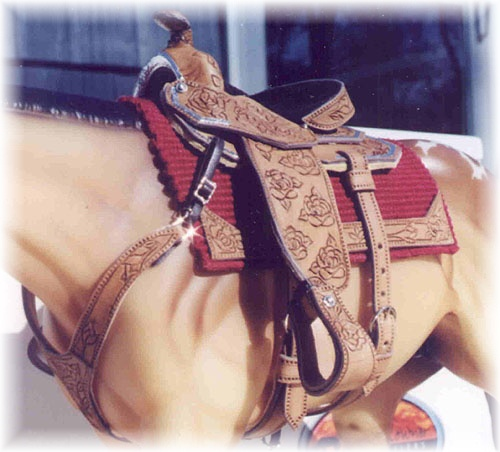 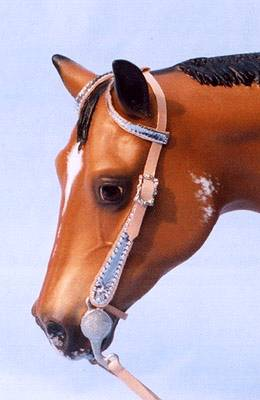 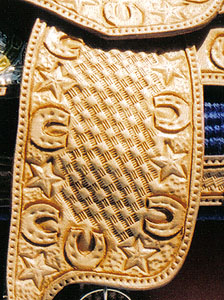 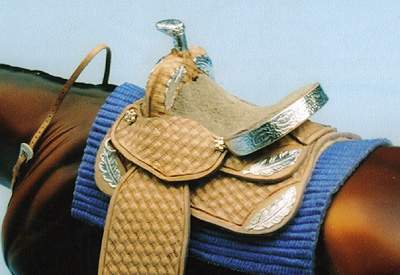 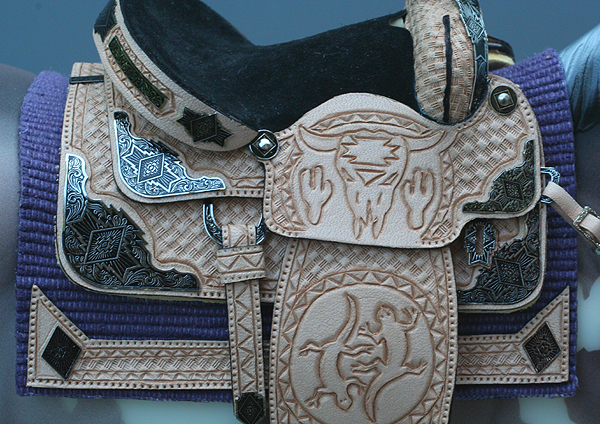 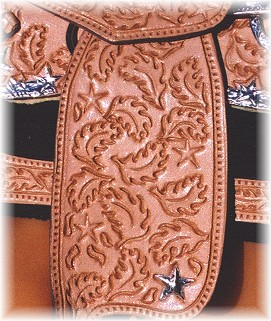 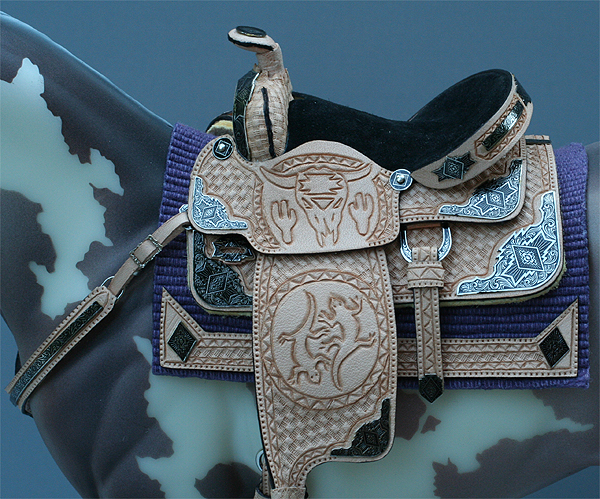 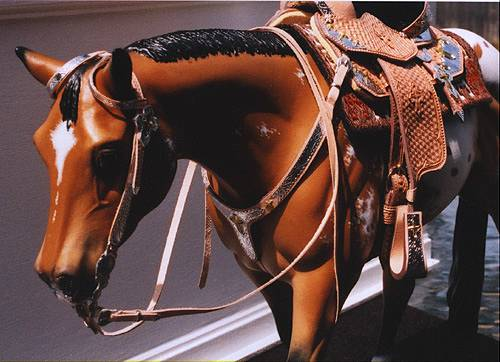 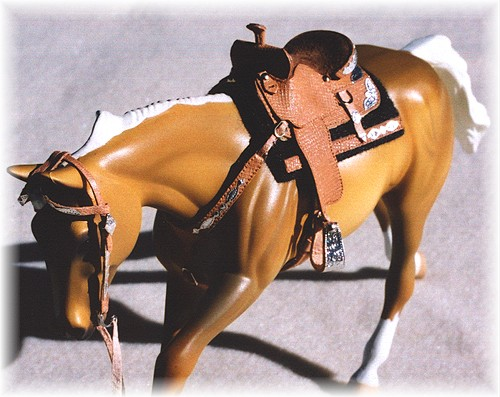 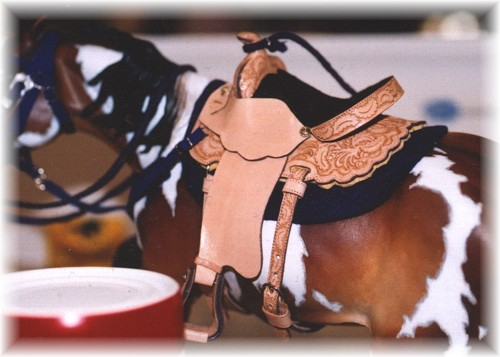 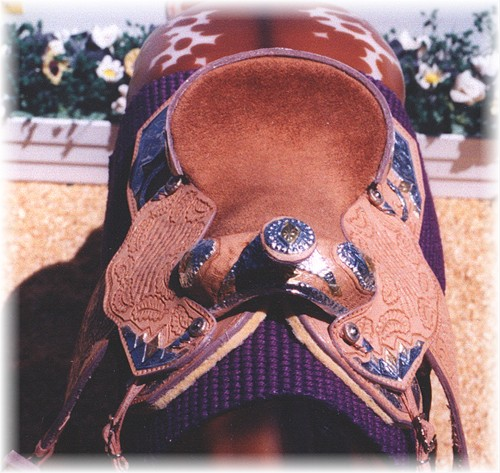 Unless otherwise stated, all woven pads are by C. Sloan with wear leathers added by Equiworks. 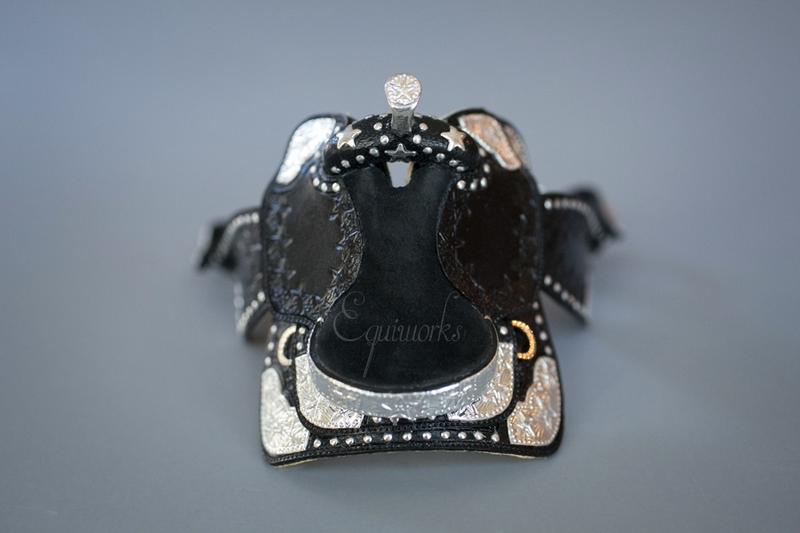 This Southwestern themed set is sure to please, covered with ~50 new fancy Rio Rondo plates in a silver & black color theme. 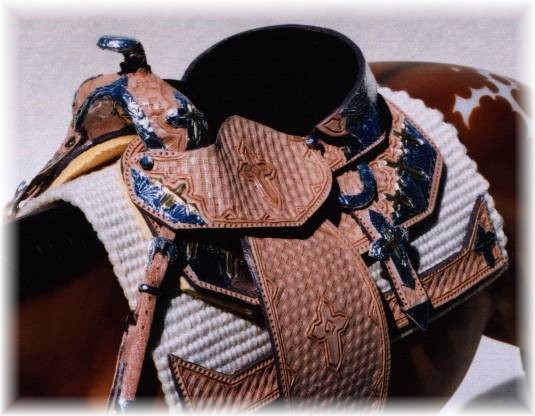 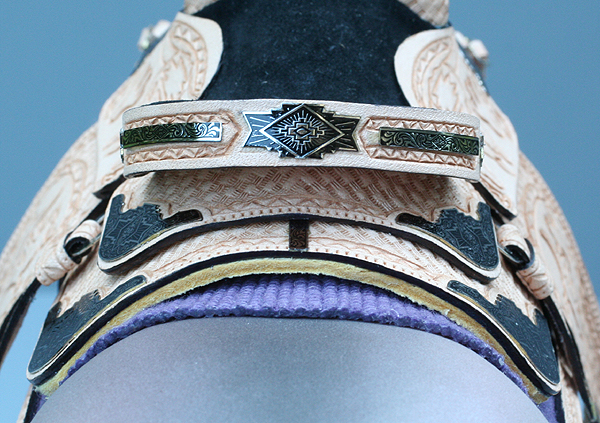 Natural color hand carved in a southwestern design and tooled basketweave. 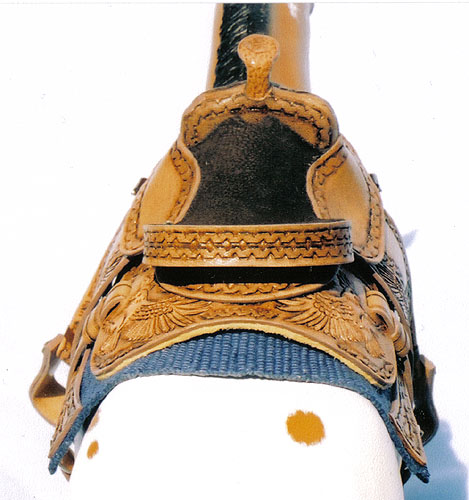 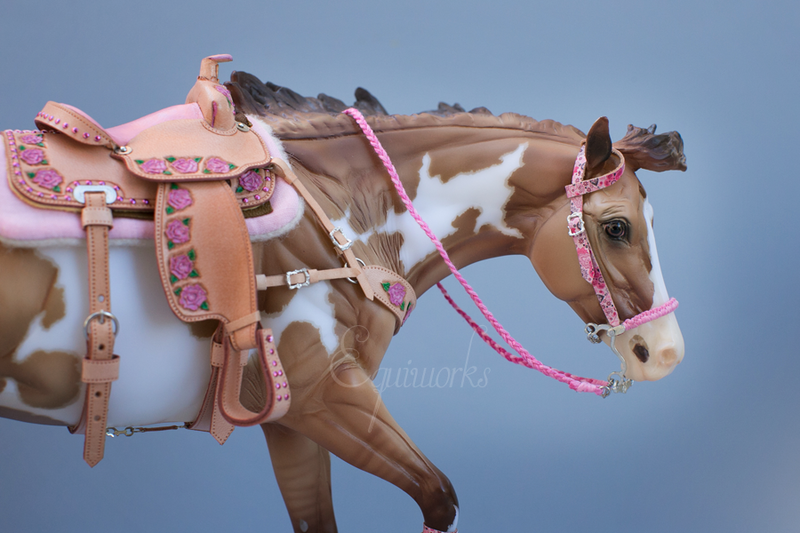 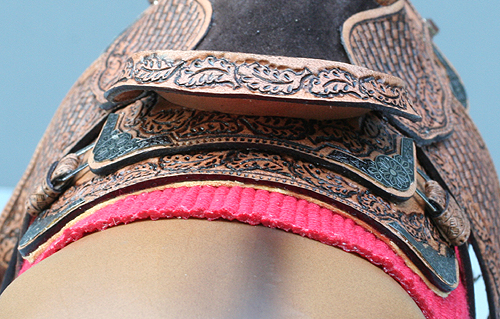 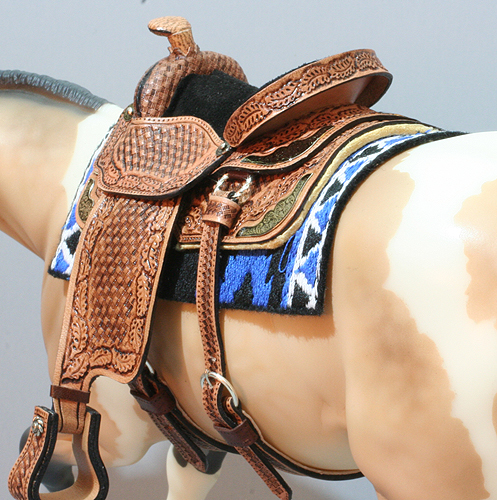 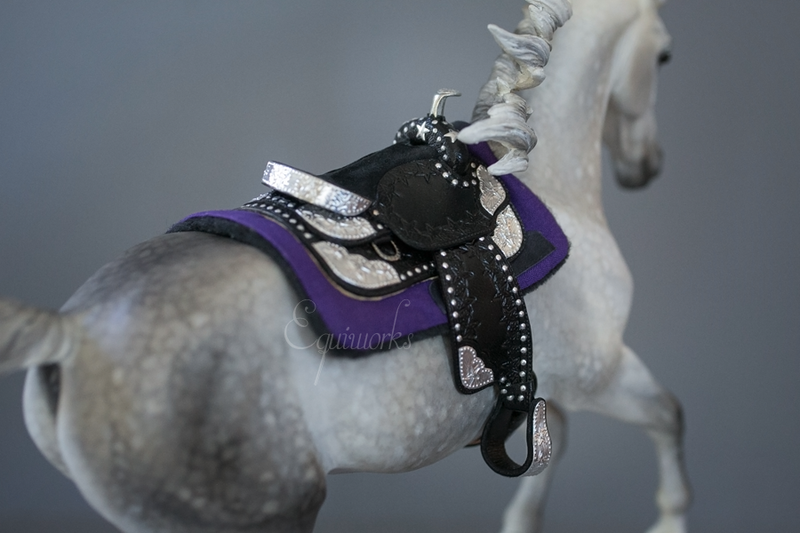 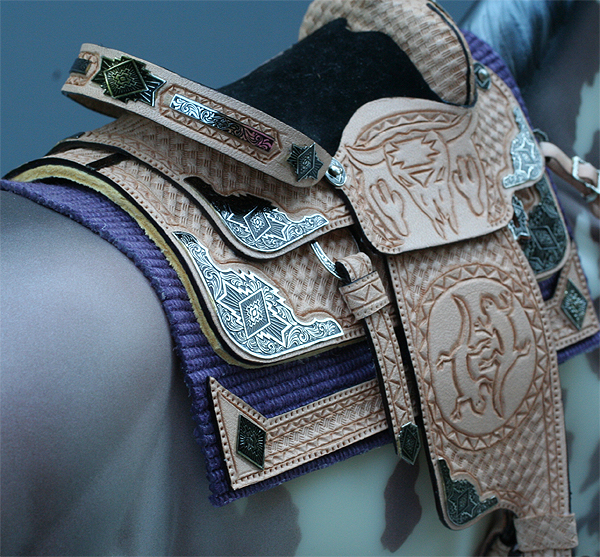 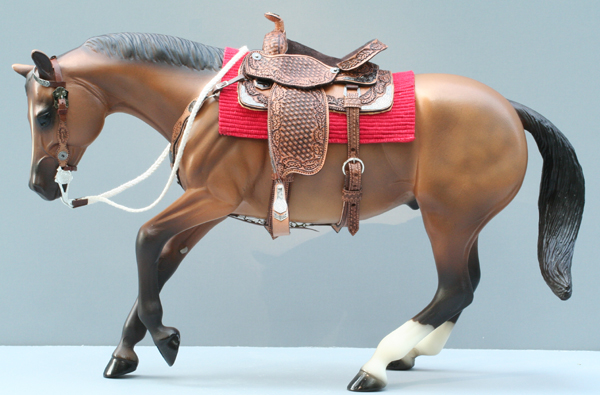 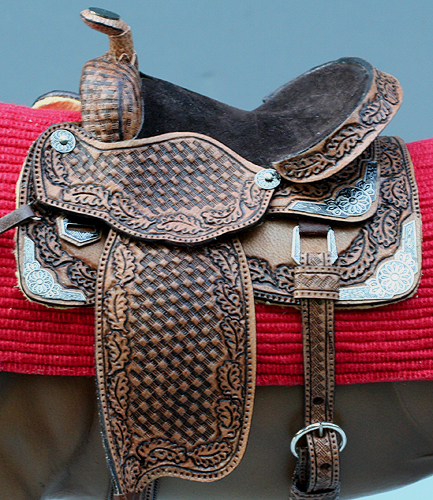 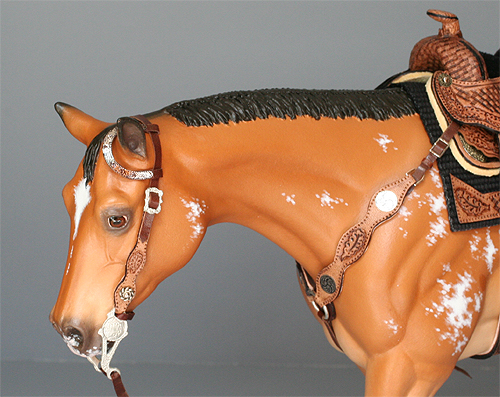 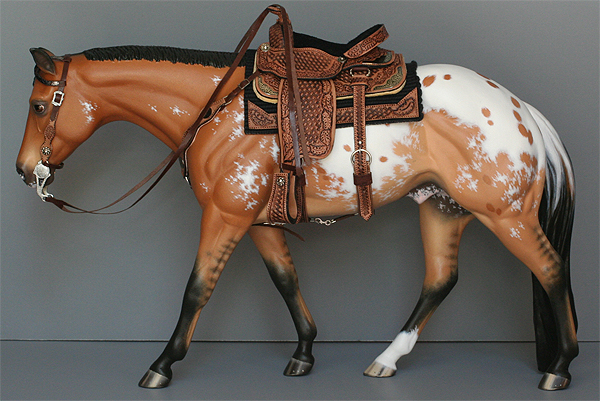 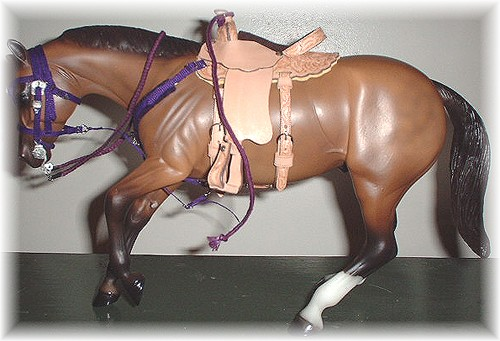 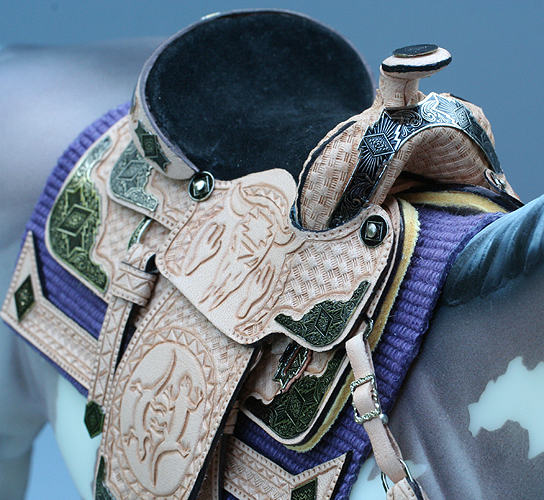 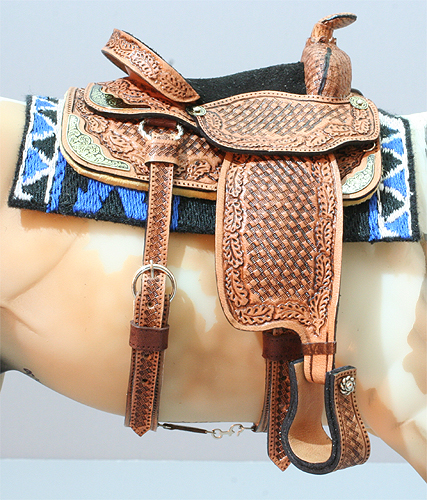 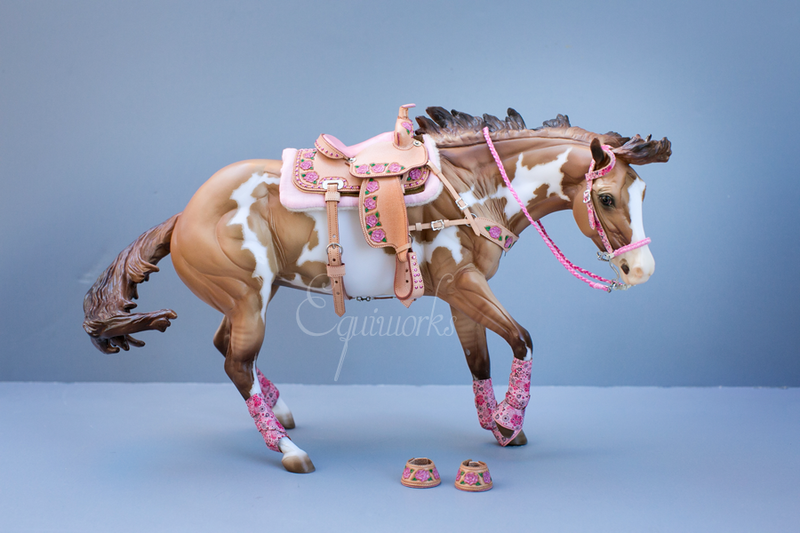 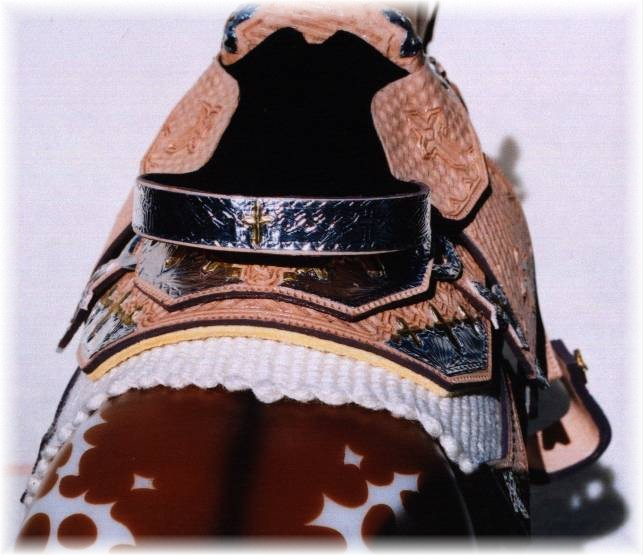 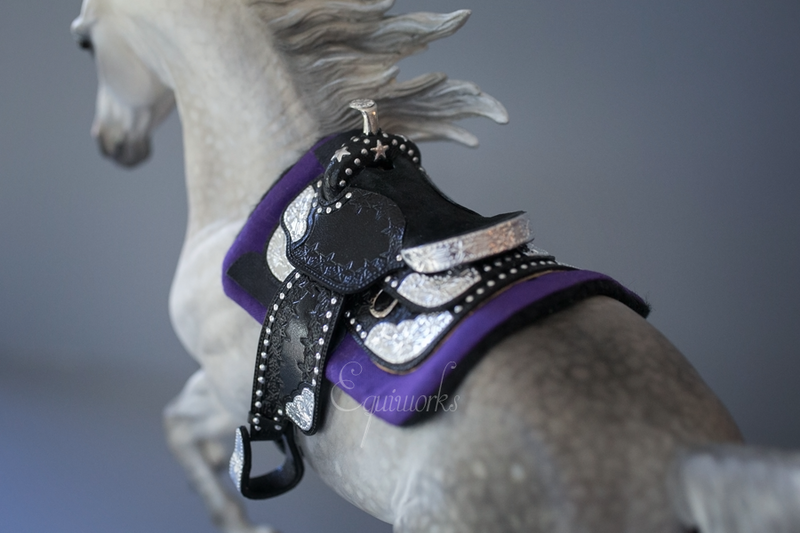 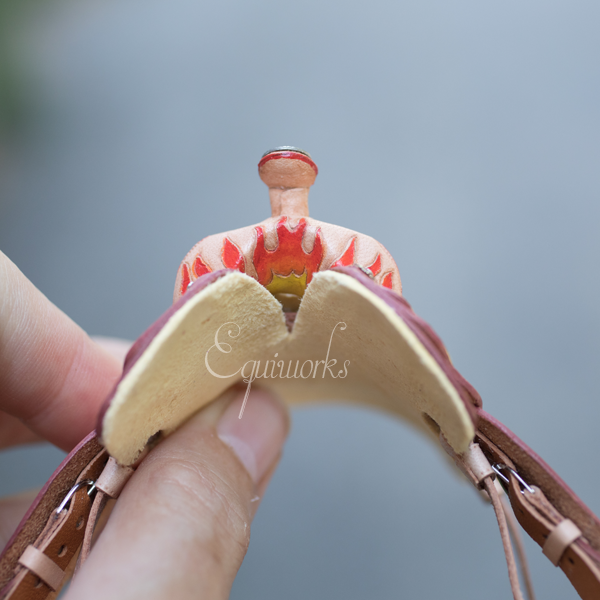 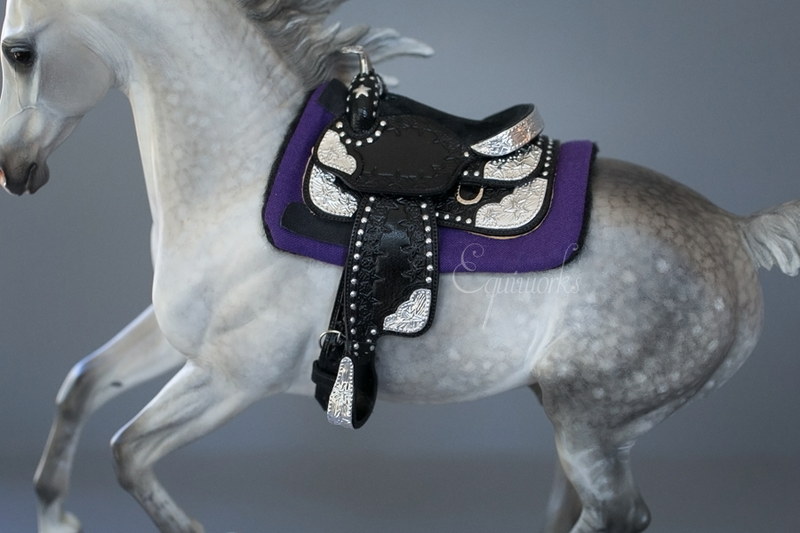 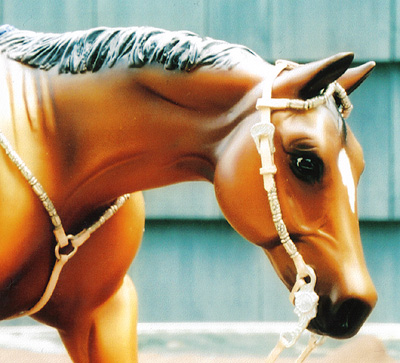 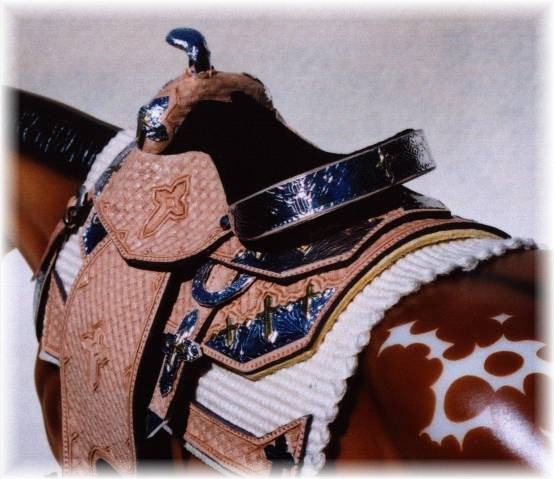 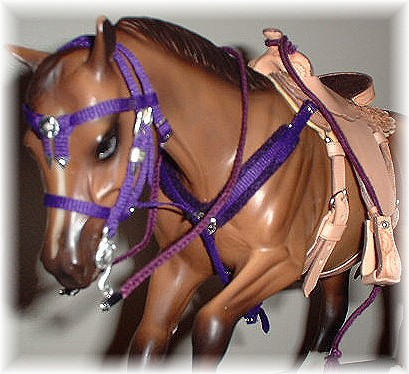 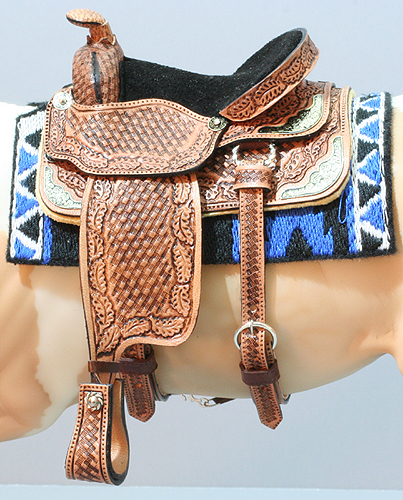 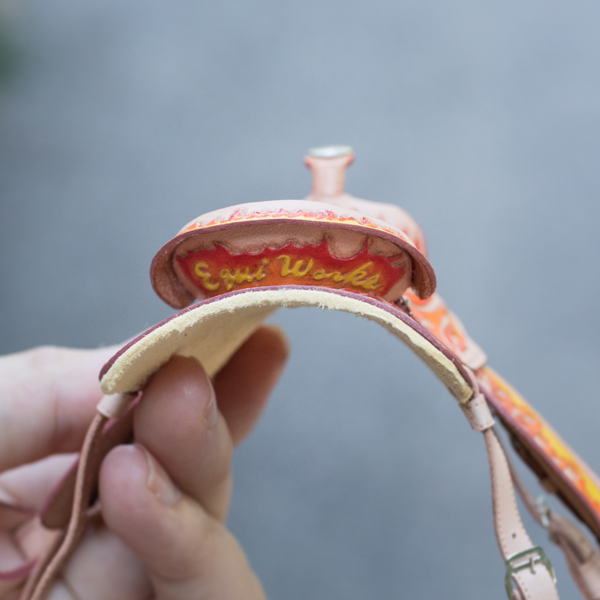 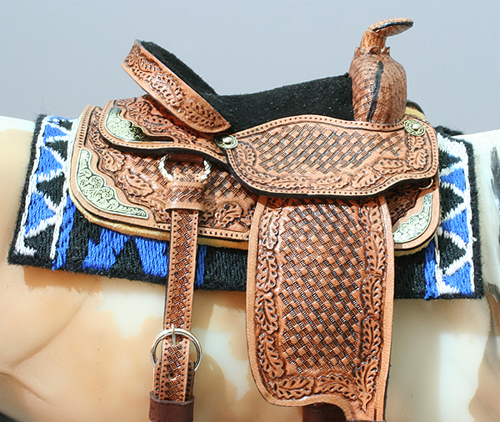 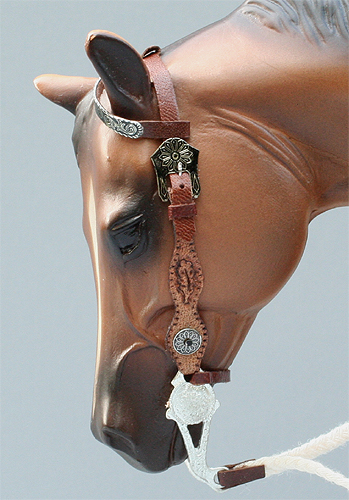 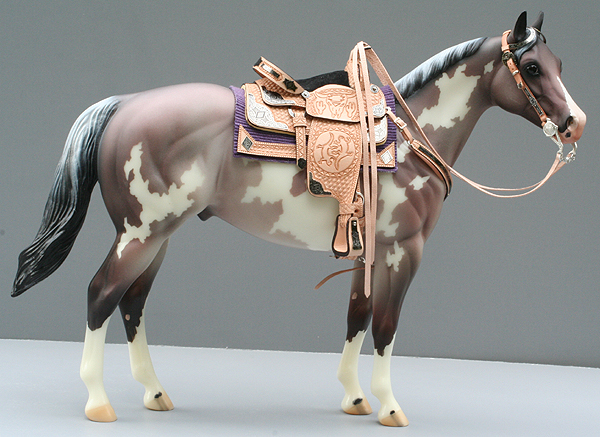 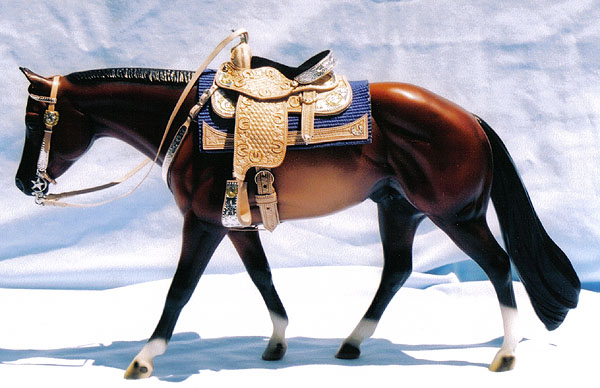 Comes with saddle, bridle, breastcollar, and woven pad with matching wear leathers. 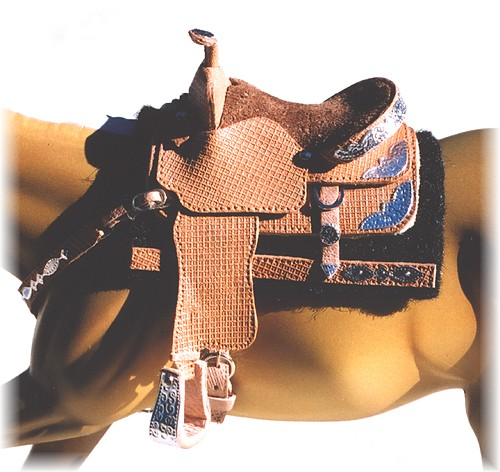 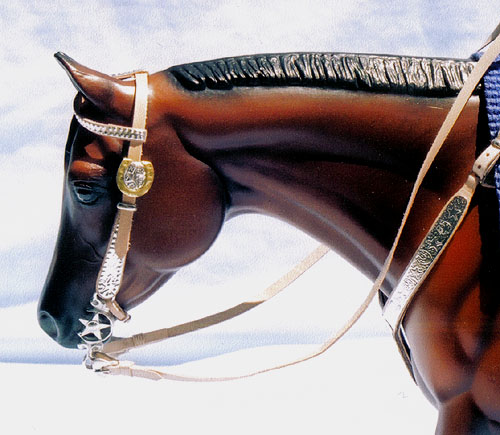 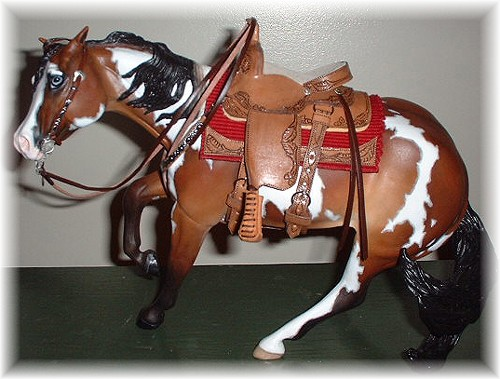 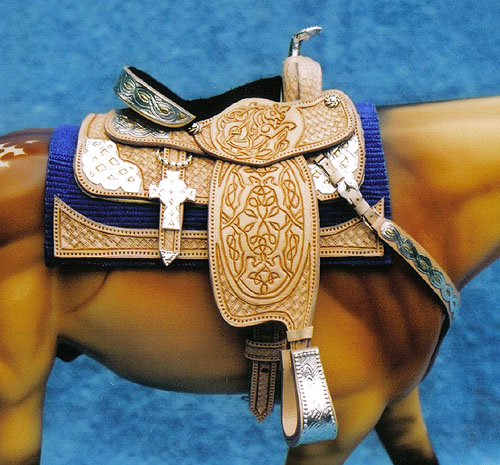 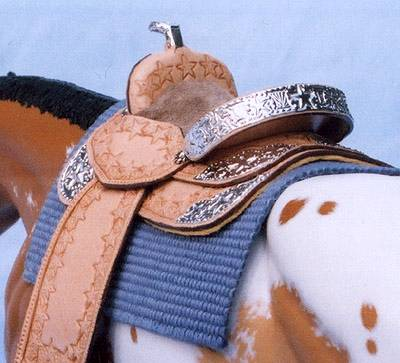 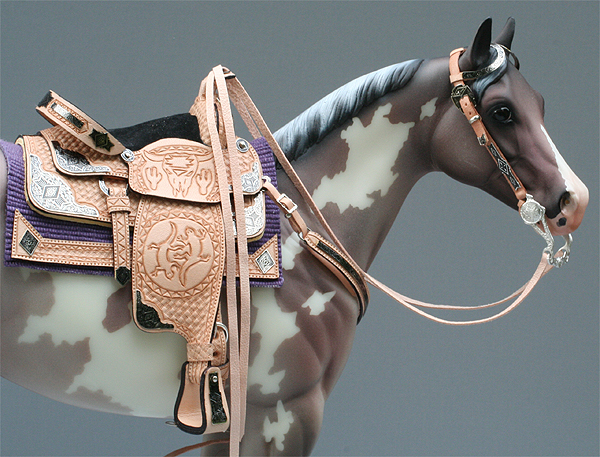 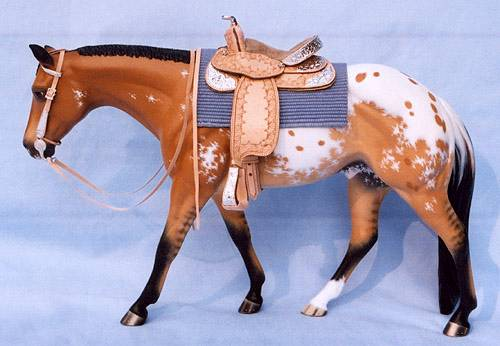 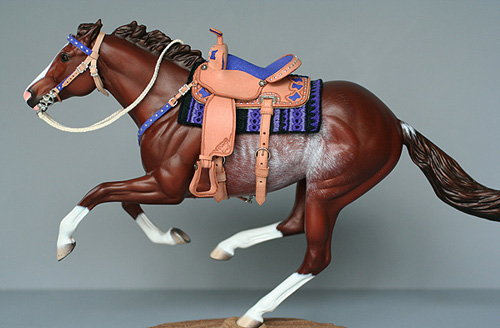 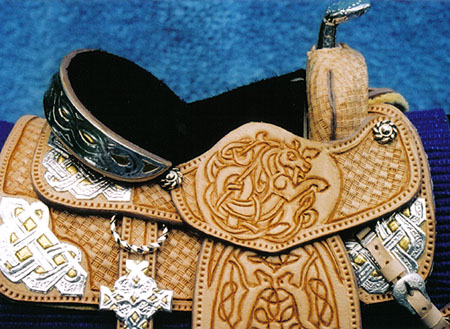 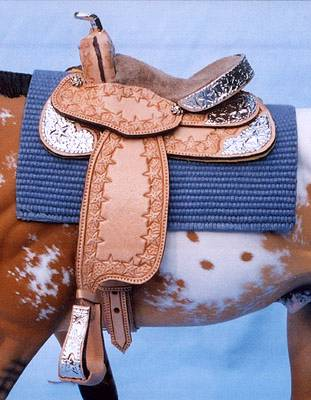 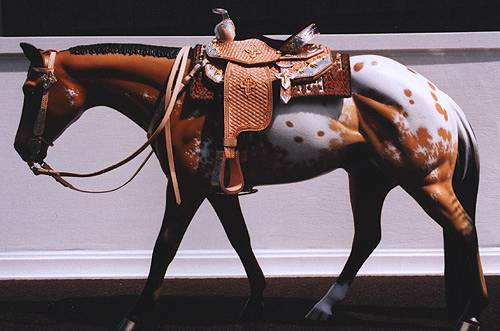 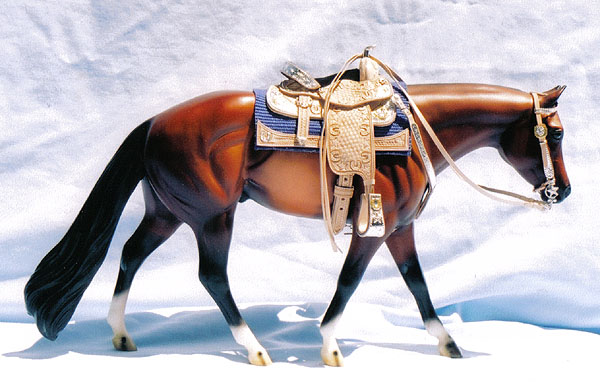 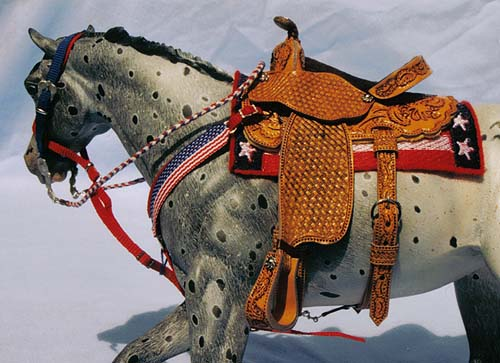 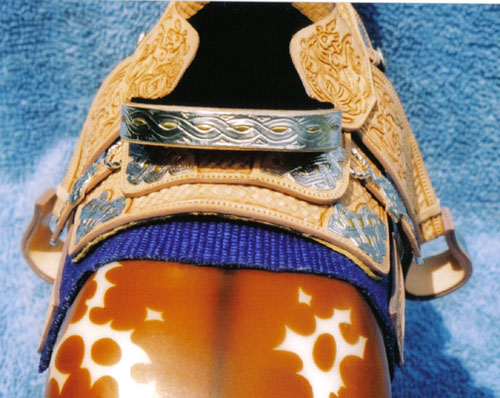 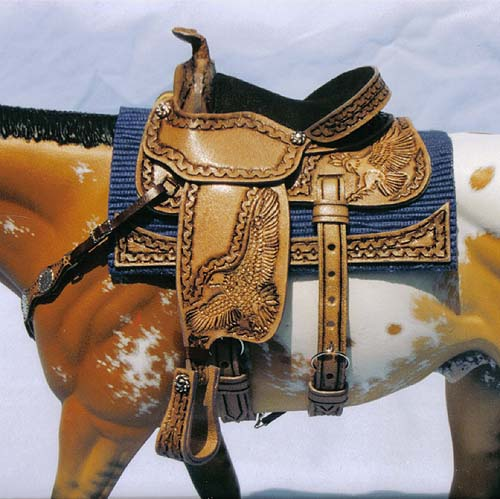 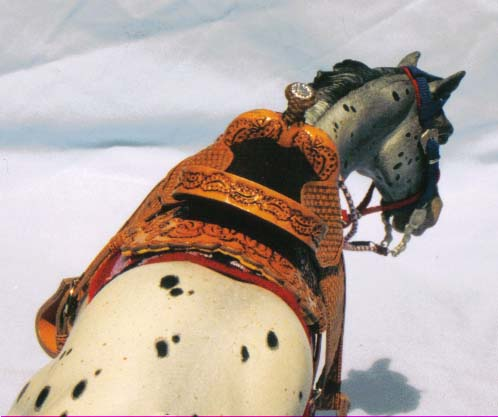 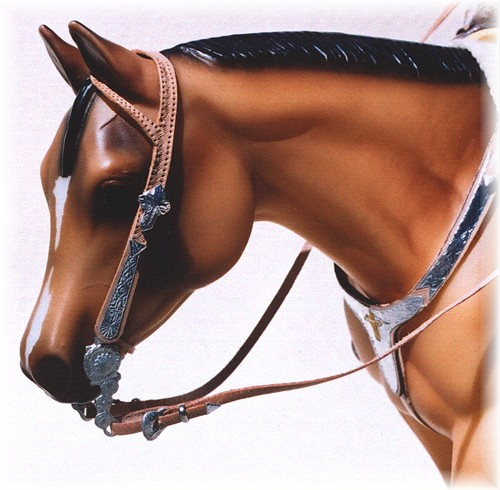 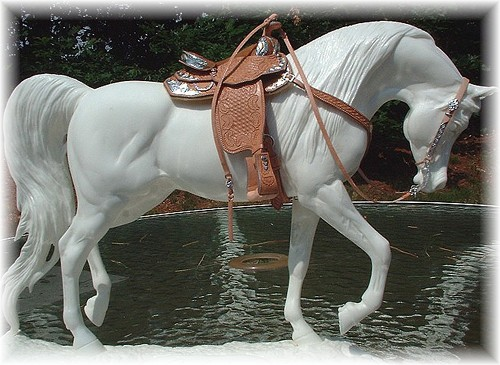 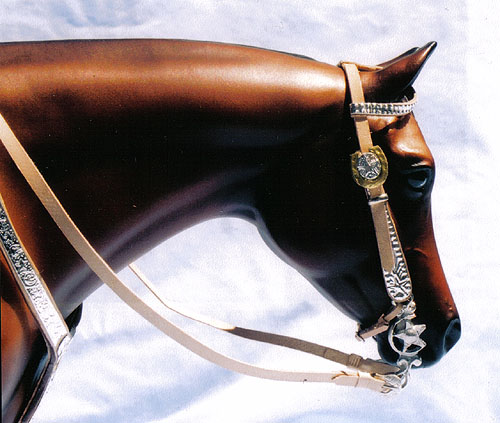 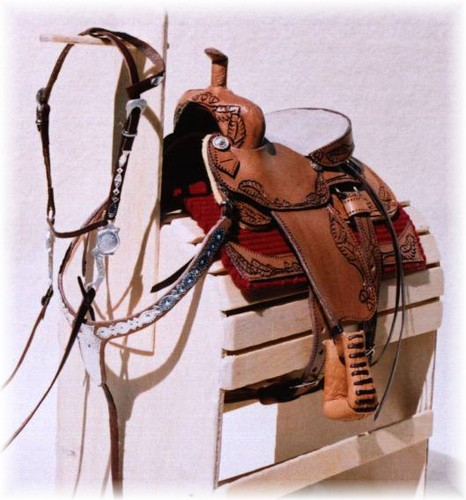 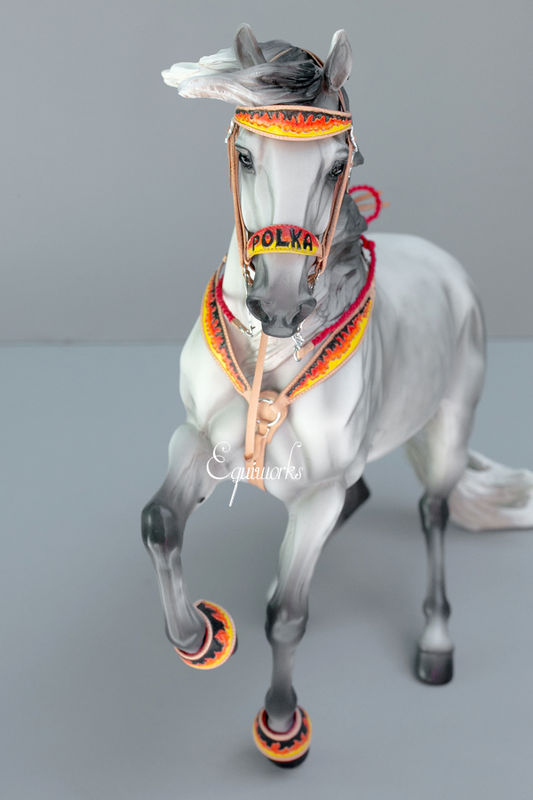 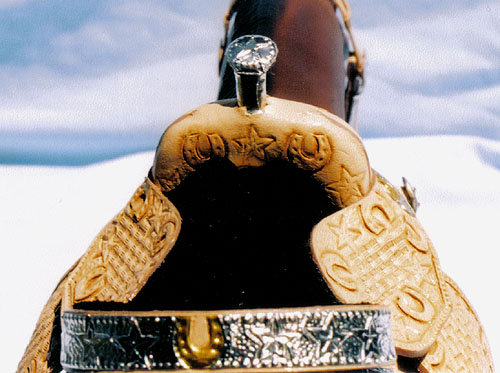 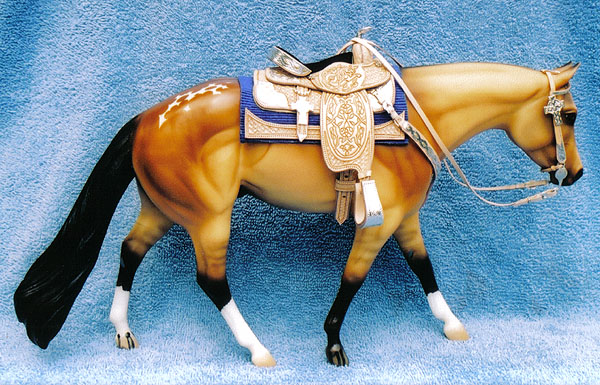 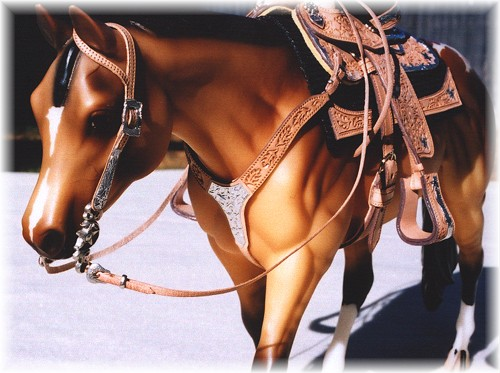 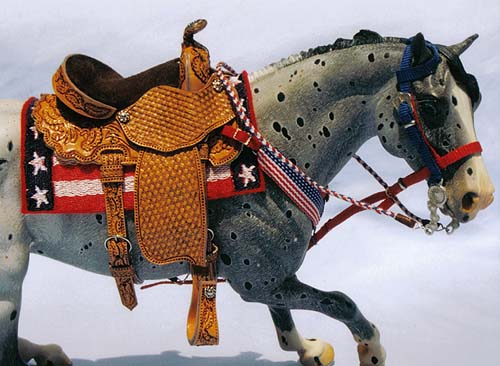 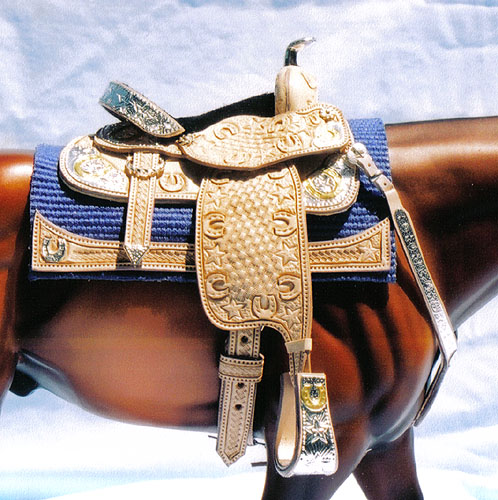 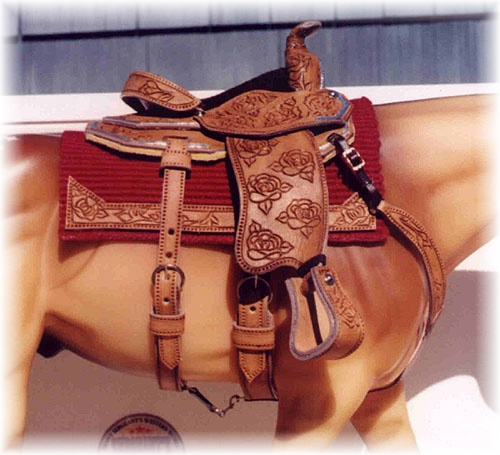 Western Pleasure Set with Silver and Gold Celtic Theme and Hand-Carved "Horses"
Designed after a real working cowhorse set, this saddle comes with long billets for the working classes, and has interchangable short rear billets (not pictured) for the pleasure classes. 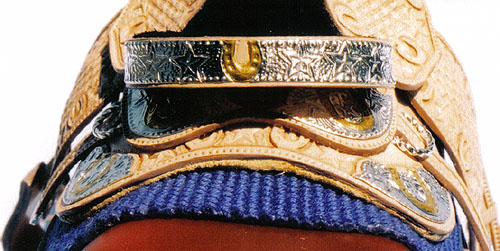 Gold and silver plating and basketweave tooling. 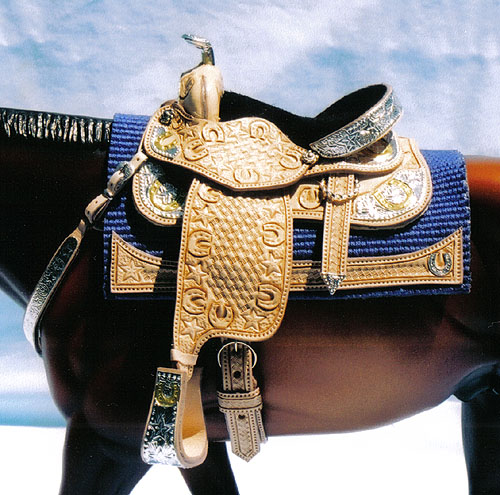 Silver plating and over 100 hand-carved leaves. 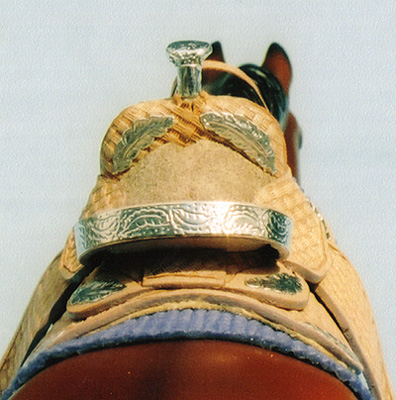 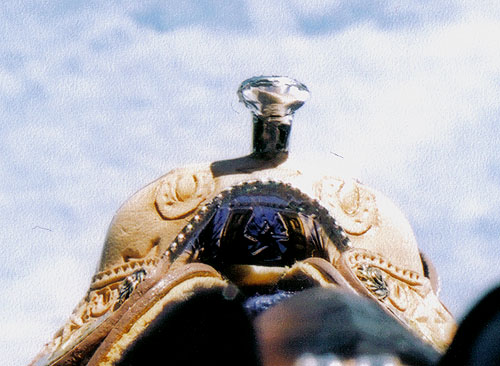 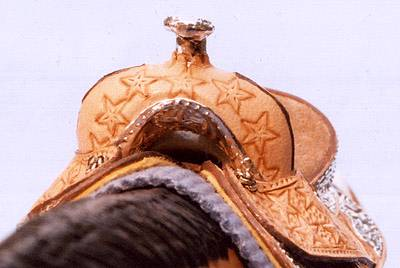 Basketweave tooling, hand-carved feathers, and hand-carved gold and silver plating. 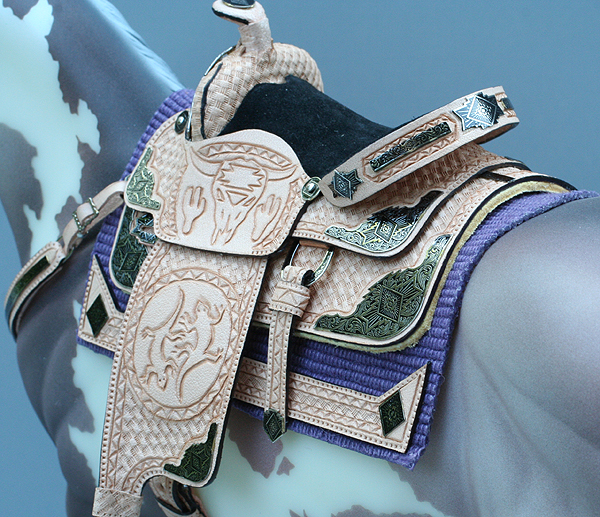 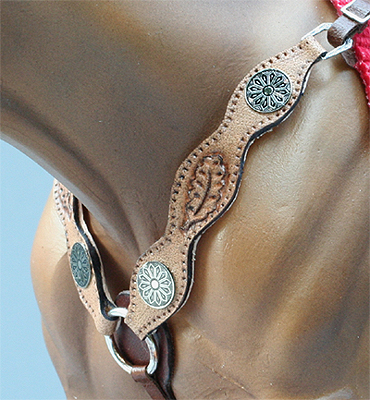 Fully-tooled design and hand-carved silver plating. 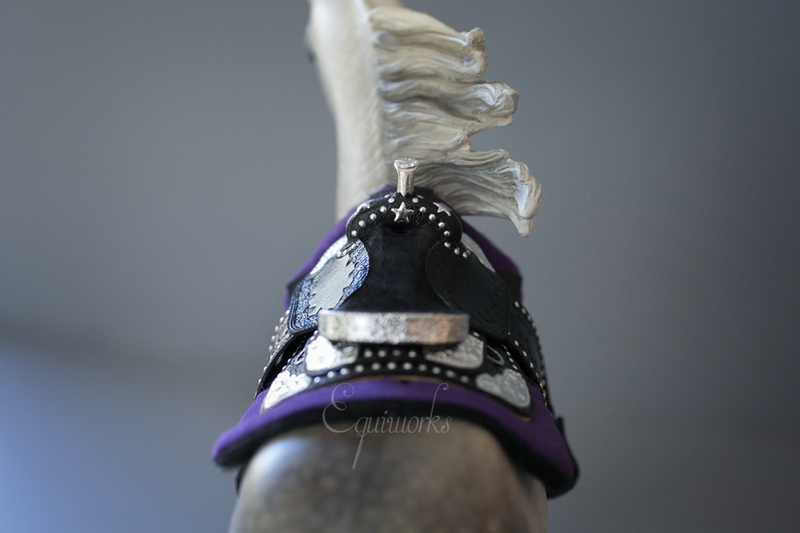 Custom design and hand-carved feathers. 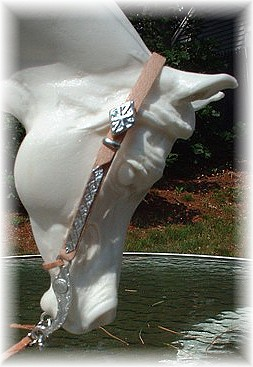 Custom tree and hand-carved design.